And we actually liked it. 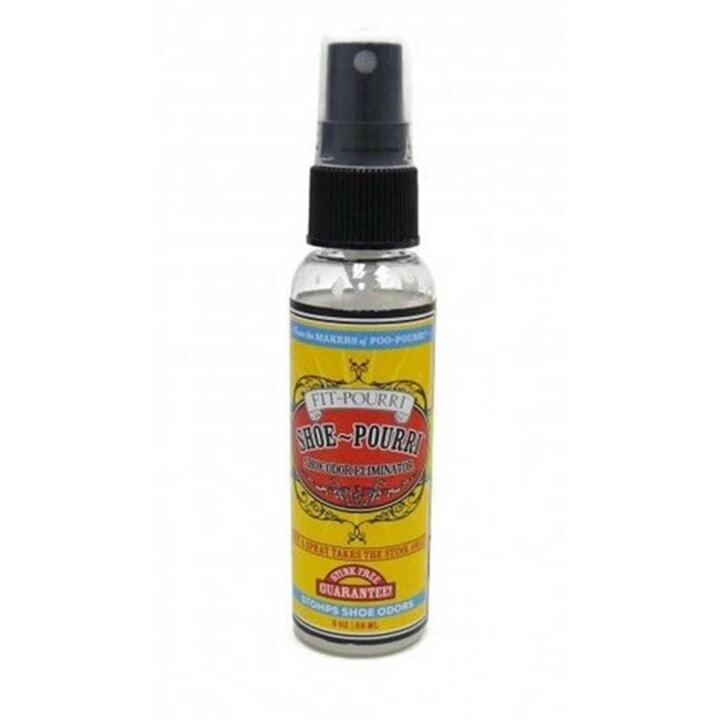 I’m a sucker for a punny product name, so when I first heard about Poo-Pourri, the “before-you-go toilet spray,” years ago, I just had to try it. I was impressed with its ability to mask bathroom odors with a variety of pleasant scents, so when I saw the brand’s new product, Shoe-Pourri, I was intrigued. Shoe-Pourri promises to stomp odors out of your favorite stinky pair of shoes, and although I jokingly deny it, I do occasionally suffer from shoe odor, especially with pairs I wear regularly. 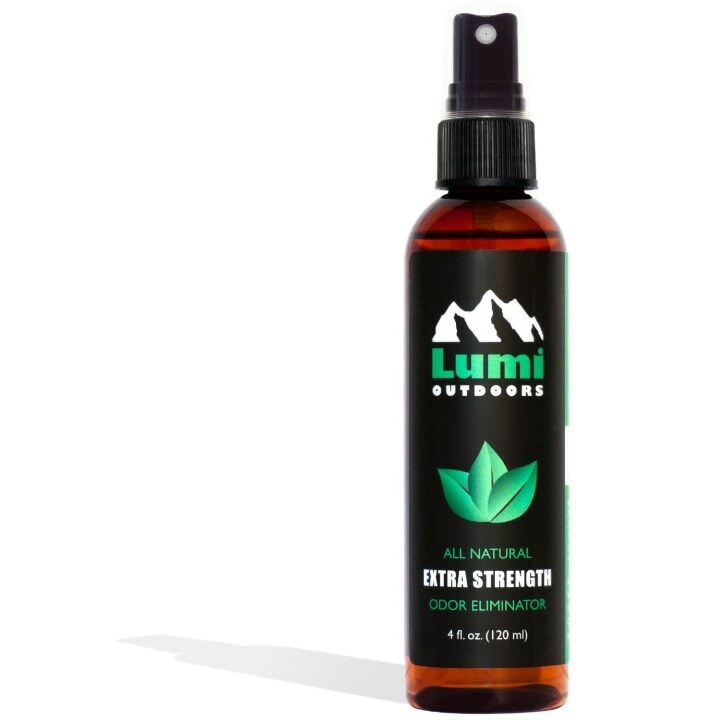 Here’s how it works: Shoe-Pourri says it uses a blend of cedarwood, eucalyptus and grapefruit essential oils to destroy odors on a molecular level by actively reacting with bad smell molecules. 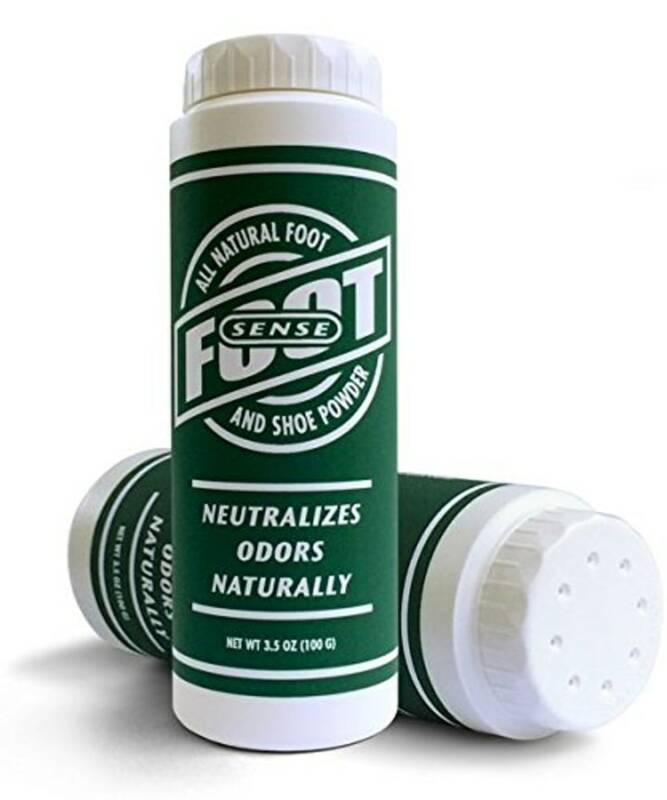 By using mal-odor neutralizing essential oils and natural enzymes, it eliminates shoe odors. Pretty cool, right? The instructions on the Shoe-Pourri bottle recommend spraying shoes once or twice, and I started off with two spritzes. I wasn’t sure just how potent the product might be, so I didn’t want to overdo it. I tested the spray on one of my smelliest pairs of shoes, some ballet flats I wore the heck out of this summer. 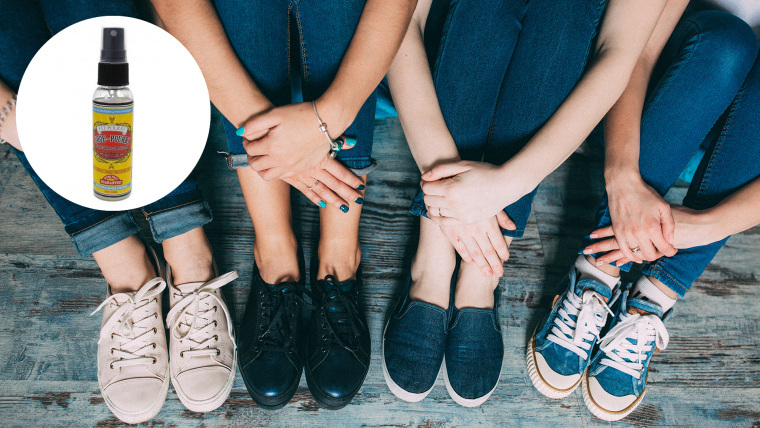 As any woman knows, wearing shoes without socks can sometimes result in a less-than-pleasant odor, and ballet flats, in particular, can get quite ripe. After letting the Shoe-Pourri spray dry for a few minutes, I sniffed my flats (gross, I know) to see how well it had worked. Initially, I was underwhelmed, but I did appreciate how the fragrance distracted from the existing odor. I went about my day and checked my shoes again that night, noticing the Shoe-Pourri smell was still there, but only faintly. I decided to spray even more the next two mornings, and sprayed all over the inside of the shoe. I let them dry a bit, and noticed by the end of the day that the original odor had subsided more. After a few days of spraying this particularly ripe pair of shoes, the odor didn’t disappear entirely, but it was definitely masked by the Shoe-Pourri fragrance — which, by the way, is best sprayed in small batches (the smell is powerful, but not in a bad way). The original odor is much less pronounced now and I can detect much more of the Shoe-Pourri than I can the odor, so I call that a win. I also love the fact that the product is made in the U.S. and is free of nasty parabens and phthalates! This spray won't permanently eliminate smelly shoes — sometimes your shoes are just too far gone to save. But chucking smelly shoes in the trash isn’t always the most practical option, so I’ll definitely use Shoe-Pourri in a pinch to treat shoe odors, and to prevent them in the first place. Here are the top best-selling products on Amazon, if you want to try something different! If your shoes are past their prime, no worries! Click here to see 12 pairs of shoes to suit any type of workout (as told by professional trainers).